"INF368PV" CLEAR LEADED GLASS VERTICAL BEVELED SIDELIGHT WINDOW REMINISCENT OF THE VICTORIAN ERA, CUSTOM AT GLASS BY DESIGN. 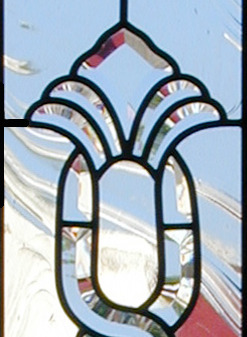 "INF368PV" leaded glass sidelight window with two NF3 bevel sets and one NF68 bevel set with Baroque glass in the background. This set of 3 Infinity bevel sets is 6" x 27". 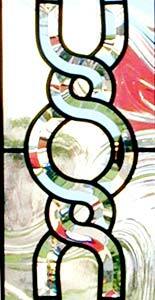 The size of the panel can adjust around the bevels to fit your dimensions. I could not decide which photo to use!